Church buildings from the eleventh to the beginning of the sixteenth century bear eloquent witness to the Catholicism of those centuries, when all classes of society conspired to express their faith through mosaics, carvings, paintings, stained-glass windows, and the magnificent churches and monasteries that housed them. From around AD 1000 until the thirteenth century, Romanesque style (and its variant in Norman style) dominated—with massive walls, relatively small windows, and round arches and vaults. The Romanesque basilica of Vezelay (south-east of Paris) and the Norman (with Arab decoration) Abbey of Monreale (near Palermo) offer outstanding examples from those centuries. The twelfth-century mosaics of the Abbey of Monreale represent an entire cycle of OT and NT stories and figures, with a gigantic Christ conferring his blessing and enthroned in the central apse. Gothic style began with the rebuilding of the royal abbey church of Saint-Denis (near Paris), which was dedicated in 1144. Pointed arches, soaring towers, and the light that streamed through the walls of brilliant stained glass lifted believers' minds and hearts to God. 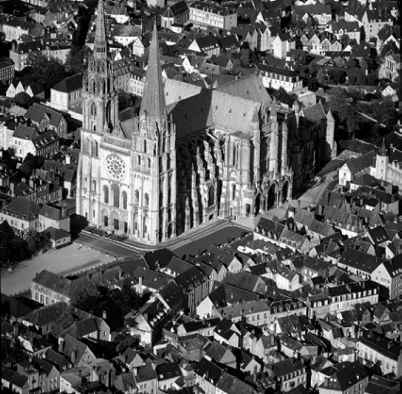 The Gothic cathedrals of Chartres (begun 1145) and Amiens (begun 1220) became models for churches right across Europe. The rich sculpture, stained glass, and luminous structure of Chartres Cathedral (south-west of Paris) have always inspired superlatives. A descendant of two American presidents, Henry Adams (1838-1918), wrote in Mont-Saint-Michel and Chartres: 'If you want to know what churches were made for, come down here on some great festival of the Virgin, and give yourself up to it; but come alone! That kind of knowledge cannot be taught and can seldom be shared. '27 Charles Peguy (1873-1914), who died at the front in the opening weeks of the First World War, helped to maintain Chartres Cathedral as a goal of modern pilgrims.28 Its forty-four window groupings depict a vast array of OT and NT scenes; its hundreds of carved figures express Christian faith and life in a very lifelike way. Another church building in Rome that illuminates wonderfully the Christian faith is the Basilica of Sant'Agnese on the Via Nomentana; see Margaret Visser, The Geometry of Love (New York: Farrar, Straus & Giroux, 2000). H. Adams, Mont-Saint-Michel and Chartres (New York: Doubleday, 1959), 117. See G. O'Collins, 'In Praise of Cathedrals', America , 22 November 1997, 12-15. Few writers evoke so skilfully and affectionately such astounding monuments of faith as does Simon Jenkins.29 When presenting his thousand 'best' examples in England, he draws overwhelmingly from the (roughly) eight thousand Anglo-Saxon, Norman, and Gothic pre-Reformation churches that have survived. Those who want to know what European Catholicism was like from the eleventh to the sixteenth century could well be guided by Jenkins and others and look at the testimonies left in stone, wood, and glass. In those permanent ways medieval believers set down their stories for us. The dramatic frescoes of Cimabue (1240—1302) in Assisi and those of Giotto (1266—1337) in Assisi and Padova bear witness to a faith grounded in the biblical stories and supremely actualized in the lives of saints. Duccio (£1255—1344) testified to the eucharistic belief he shared by the marvellous altarpiece in Siena cathedral. The bronze doors that Lorenzo Ghiberti (1378—1455) created for the baptistry of Florence evoke stories from the OT, the life of Christ, and his passion, and prompted Michelangelo (1475—1564) to declare one of them worthy of being 'the Gate to Paradise'. The scriptures provided central themes for the sculptures of Donatello (1386—1455) and the glazed terracotta figures by Luca della Robbia (1400-82), his nephew, Andrea della Robbia (1435-1525), and Andrea's descendants. A fresco by Masaccio (1401-28) in Santa Maria Novella, Florence, remains a hauntingly effective image of the Trinity revealed through the death and resurrection of Christ. A few blocks away in the Monastery of St Mark the sunlit simplicity of the frescoes by Beato Angelico (¿".1400-55) continue to touch the heart through their beauty and faith. Florence led the way in the fifteenth century. But artists of genius worked elsewhere: Mantegna (1431-1506) in Mantua, his brother-in-law, Giovanni Bellini (1430-1516), in Venice, and Piero della Francesca (¿. 1416-92) in Arezzo, San Sepolcro, and Urbino. The twentieth century learned to appreciate again the harmony and serenity of Piero's images of Christ at his baptism and resurrection. The greater and lesser artists of the Italian Renaissance testify to the Catholic life and faith of their times. 29 England's Thousand Best Churches (London: Penguin, 1999). Angelico, Bellini, Piero, and other artists to represent the Virgin Mary with her Son and with those who believe in him. 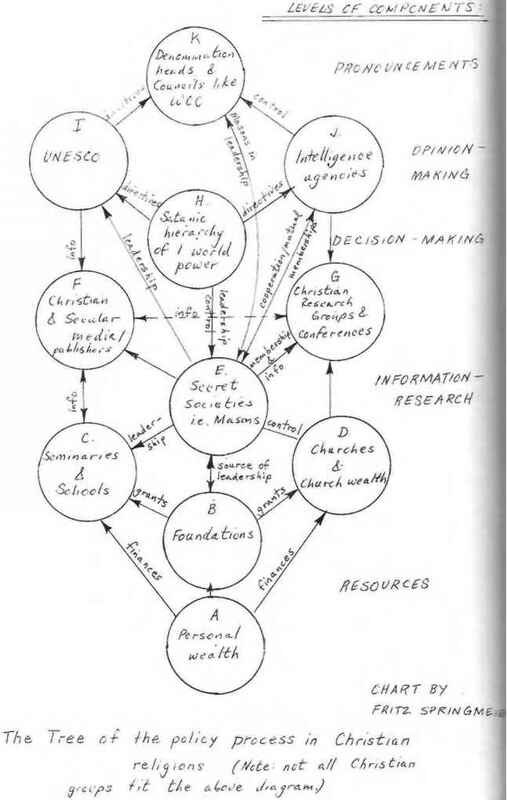 After the Council of Ephesus's official endorsement in 431 of the Marian title 'Mother of God' (Theotokos), devotion to her in the Christian East and then in the West took off. In Christian art, the small group around Mary at the foot of the cross and the larger group of disciples gathered with her at Pentecost conveyed the sense that the Church cannot exist without being in fellowship with her. The Annunciation by the late-Gothic artist Jan van Eyck (1390—1441), now found in the National Gallery of Art, Washington, sets the scene in an elaborate church interior and presents Mary as an archetype of the whole Church community. Along with the visible heritage of Catholicism, one should not forget the rich musical life that flourished in Eastern and Western worship. Liturgical hymns, going back to the fifth and sixth centuries, continue to inspire devotion in those who attend the liturgies of Eastern Christianity, whether Orthodox or Catholic. The 'Akathistos', a long song of praise to the Mother of God that dates at least from the seventh century, remains among the most moving hymns in all Christian worship. One of the glories of Western civilization, the medieval repertoire of plainsong has not lost its evocative religious power. In the late twentieth century, the 'Canticles of Ecstasy' and other musical compositions from St Hildegard of Bingen (1098-1179) have enjoyed an extraordinary revival.